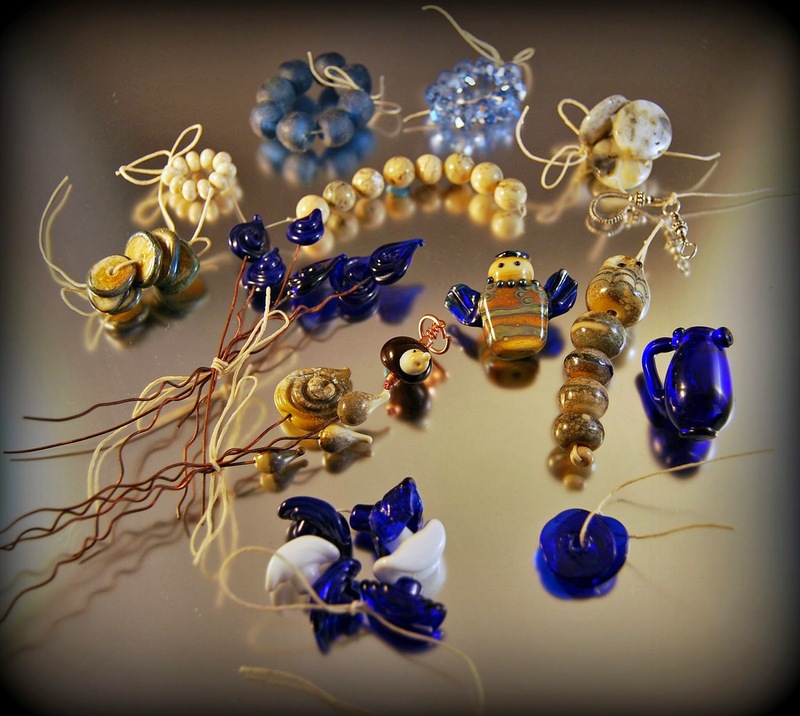 Although Cindy and I are both lampwork bead makers, we have different styles. Having no immediate vision for design, I took off the strings, laid it all out, and played with arrangements off and on until some ideas began to come together. I've never worked with waxed linen to string beads, so this was a BIG stretch for me. After much trial and error, knotting and unknotting, this is the first piece I managed to connect the beads to create this necklace. 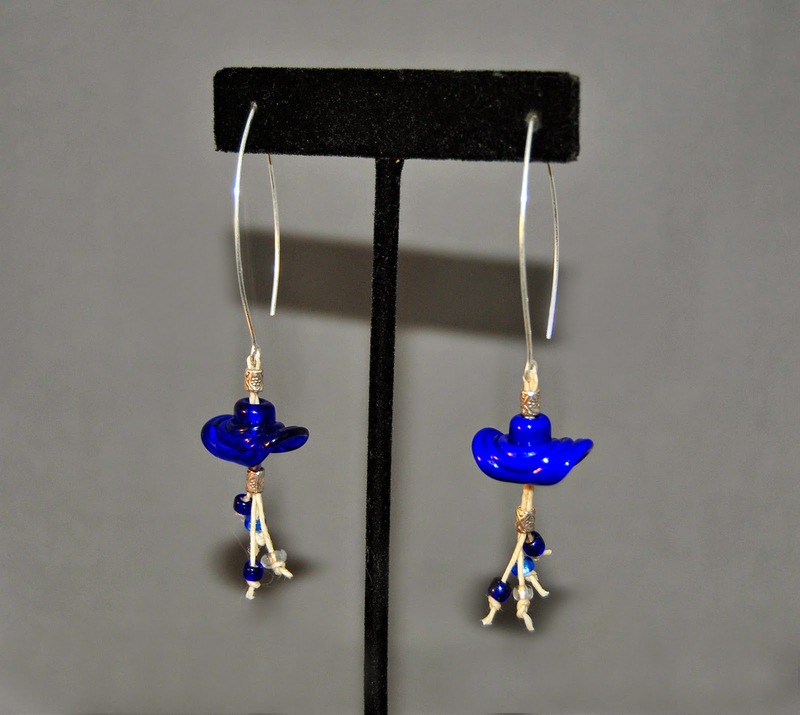 Next, I made some earrings to match. 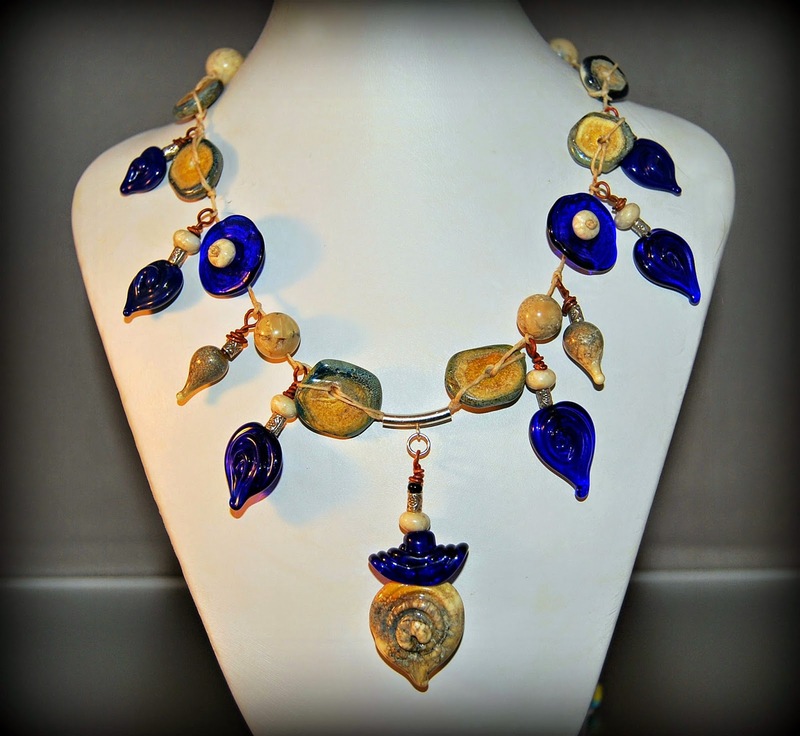 I designed it by adding some cobalt faceted beads I had on hand. 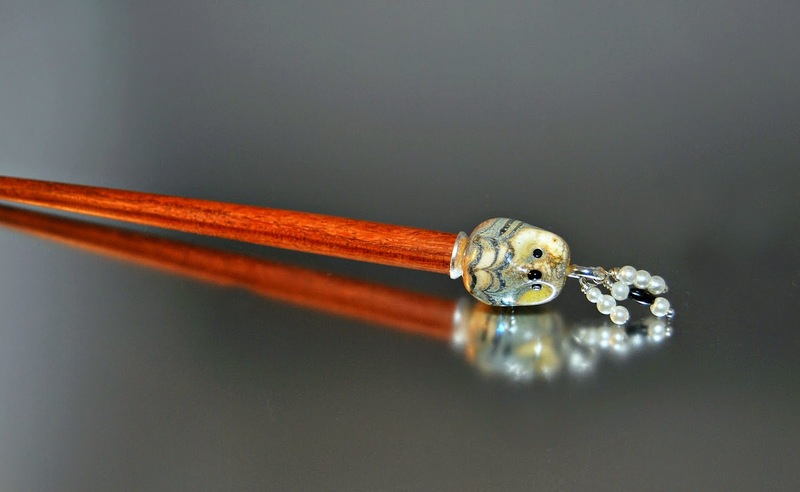 And the little owl was so cute, I thought he needed to stand alone, so I made a hair stick! This was such a fun and challenging soup for me, and I'm grateful to Cindy for her lampwork creativity, and her patience. I also appreciate Lori's huge undertaking in making BSBP's doable and fun! 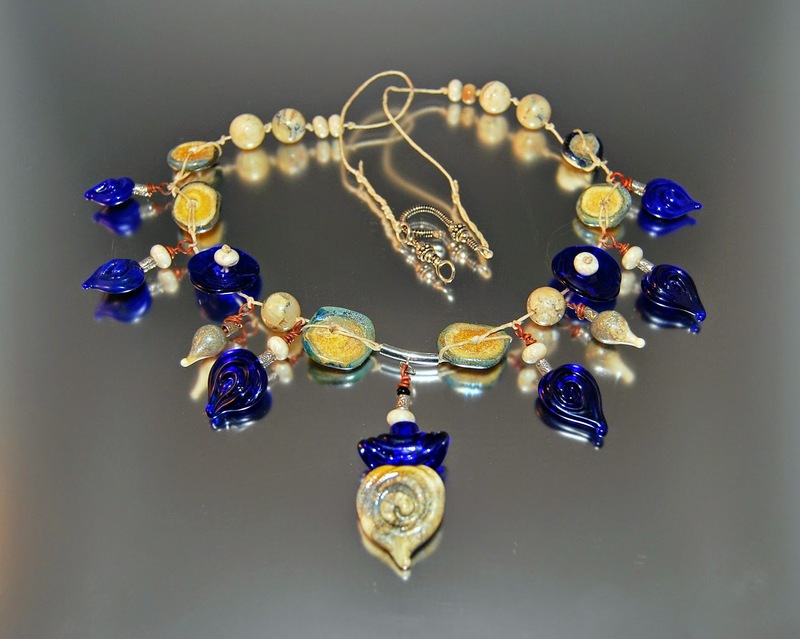 Love the first necklace - the combination of lampwork and linen cord makes it look both lavish and very light! 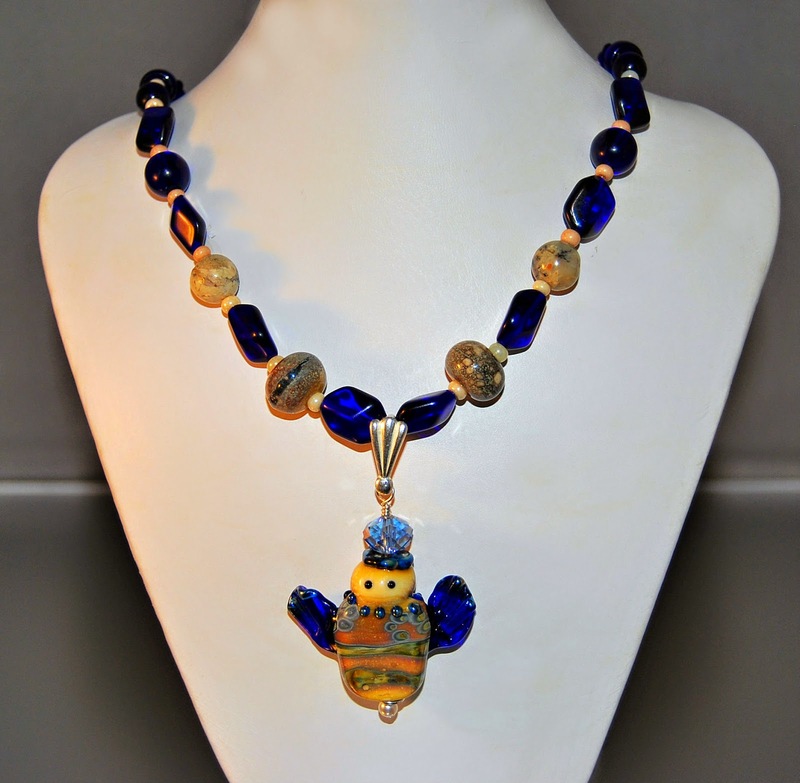 And I like the bead arrangement in the second necklace - regardless of the use of a full string of beads, it makes the angel stand out. The earrings are simply beautiful and the pin is such a unique idea! I love what you made with your beautiful soup. Great job working with the waxed linen.